IZX is an open blockchain platform for independent game developers with elements of augmented and virtual reality. There is no geographical boundaries for IZX & create equal opportunities for everybody such as advertisers, game developers & players. There are a lot of video game players & audience grows day by day. They are willing to earn money from video games. so IZX project is targeting this.IZX Platform gives fun and financial rewards to every active user & opportunity to earn bonuses, discounts or real cryptocurrency by collecting them at the users’ location. Just download IZX App and start playing. 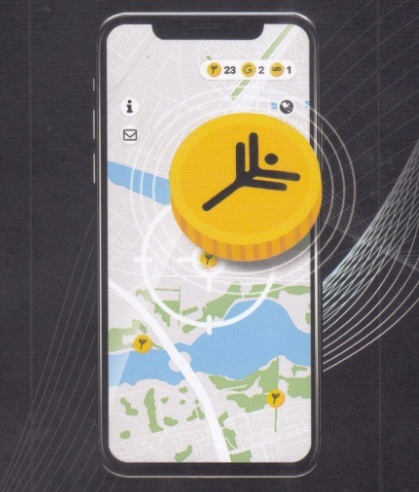 Tokens of the IZX Partners appear on the smartphone screen. The problems were Built-in obtrusive Internet advertising no longer hits the target audience, causing irritation & banner blindness. Advertising budgets are growing but conversions are steadily falling. So need a new way of customer attraction and retention that encourages users to take interest in promotional offers at their own will while receiving positive emotions. IZX combined location-based ads, mobile games & loyalty programs in one product of the IZX decentralized platform. Now marketing is gamified, when an advertiser places game tokens in AR and VR games, a player collects them on city streets and exchanges them for discounts and special offers. It is similar to Pokémons but with real value is a loyalty program but much more flexible and engaging. IZX is ready to integrate the token-model into the largest VR parks & Hero Central Park in Kuala Lumpur (Malaysia) from US VR Global is the first in our plans. IZX is open to cooperation with game developers. IZX has already tested the mechanics of loyalty programs on 23 advertisers using the IZX token. Possession of tokens IZX ERC-20 (Ethereum network) gives the right to issue in-game IZX Drive tokens each with an advertising message and a unique design. Each owner of IZX tokens is an advertiser. Any independent game developer can capitalize on his ideas, integrating our tokens and smart contracts into mobile applications and PC games. IZX create a token marketplace for advertisers and owners of IZX tokens which allows selling or renting in game IZX Drive tokens for advertising campaigns. IZX is not a prototype but a fully working flexible tool with endless possibilities for improvement and scaling. 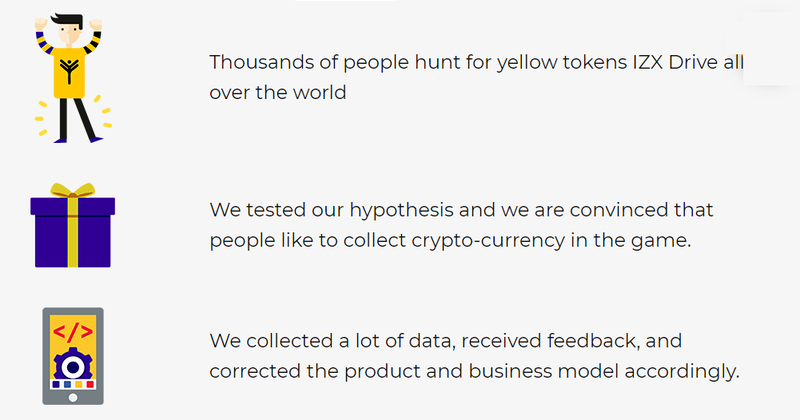 IZX has tested our ideas on the audience of our MVP application. 3.Referral programs in the IZX App — Attract new players! IZX token is used for emission of IZX Drive gaming tokens. 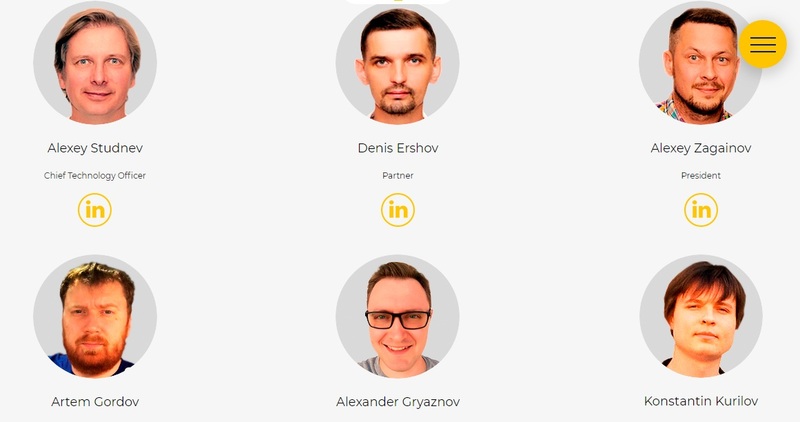 The IZX is blockchain platform for independent game developers & The IZX team consists of well-known person & So We don’t have any questions regarding this project. My recommendation is that join with IZX & success the future.